Welcome back to our comprehensive guide on How To Be A Master Chef for beginners and food enthusiasts! In today’s post, we’ll go over how to make one-pot meals, utilizing your slow cooker, and preparing casserole dishes for yourself and company. This is the last day of our How To Be A Master Chef in 10 Days series, so let’s get to it! Don’t miss our guide on Delicious Desserts for Beginners! Learn how to make hearty casseroles and one-pot meals with this handy guide! Cooking with a slow cooker is easy to do and really good for people who do not have a lot of time to cook. If you want something that has been stewing in its own juices to add a bunch of flavors, you’re going to want to cook with a slow cooker! Just throw your ingredients in and let it simmer for a while. As it simmers, all of the flavors of your ingredients will intensify, creating a meal that will put make you seem like an incredible chef! Slow cookers are relatively cheap to purchase and transform cheap ingredients into something great! Slow cookers have been known to save cooks who do not have a lot of time, as well as cooks who do not have a lot of money to spend on a 5-star meal. Using a slow cooker will allow you to save time, effort, and money! What’s not to love? These cookers are so easy to operate, and the meals are not hard to make. Soups and stews become even easier to make because all you have to do is toss your ingredients in the slow cooker. You may want to saute some of the ingredients before putting them in to give more flavor, but other than this, all you need to do is some chopping, slicing, spicing, and dicing and the slow cooker does the rest for you! Browning or searing your meat is also a good idea! Saving money is on everyone’s agenda! If you want to cook something cheap, try getting inexpensive cuts of meat like pork shoulder, lamb shoulder, chicken thighs, or beef brisket. These meats are cheap, but the slow cooker tenderizes and flavors these meats to make them taste like they are expensive cuts! Putting a lot of liquid in a slow cooker is not the best idea because it is a closed cooking system. We recommend using around 1/3 liquid in your recipe. Overfilling your slow cooker could result in a meal that is not properly cooked, meaning you should go with filling the whole cooker less than 2/3. You’ll also use less fat (if you want to) when preparing food in a slow cooker! There is no need to add any oil or other fats in a slow cooker because as long as you have enough moisture in it, there is no need to worry about adding any oil. You may also want to trim the fats off of your meats because if you do not, it may pool in your stew. The ending result will be a healthier dish that tastes phenomenal! If you want to make a thicker meal, you can roll your meat in some seasoned flour prior to putting it in the slow cooker. You can also toss in a bit of cornflour when it is done. Once you put your ingredients in the slow cooker, don’t bother with it anymore! These cooking systems are meant to be left alone, meaning no more work until it is time to serve it up! If you open the lid repeatedly, you will release the heat, meaning it will take longer to cook. Stay away from the slow cooker until dinner time! If it normally takes 15 to 30 minutes to cook something, cook it in the slow cooker for an hour or 2 on high or 4 to 6 hours on low. A dish that takes 30 minutes to an hour to cook will take 2 to 3 hours on high or 5 to 7 hours cooking on low. When cooking a dish that requires 1 or 2 hours to cook, cook it on high for 3 or 4 hours or on low for 6 to 8 hours. Cooking a dish in a slow cooker that normally takes 2 to 4 hours to cook means you will need to have it in the slow cooker for between 4 and 6 hours on high or between 8 and 12 on low. If you are cooking root vegetables from your garden, remember that these will take a bit longer to cook. You should either put them near the bottom of the pot or blanch them prior to throwing them in your slow cooker! Casseroles are a great dish to serve when you have company over. Cooking in a casserole dish is super easy and can make for a terrific meal! Many people relate casserole dishes to comfort food, meaning you can make some pretty tasty meals using a casserole dish! This section will go over how to use a casserole dish to cook a multitude of meals and a recipe for a fantastic chicken pot pie recipe! 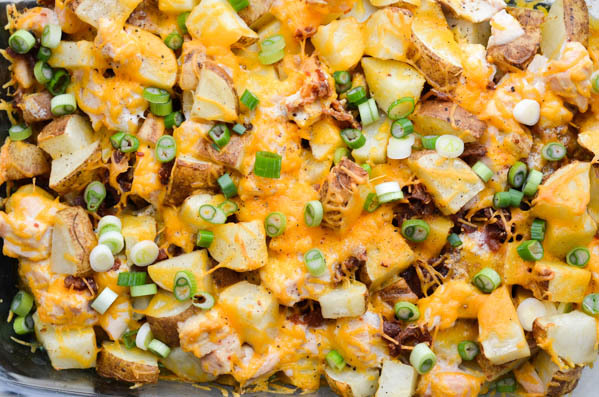 Practice your new skills by testing out this deliciously gluttonous loaded potato casserole recipe! Take your potatoes and put them into a large saucepan, cover them with water and add some salt. Bring the water to a boil and cook the potatoes over medium-high heat until they are tender. Drain the water and peel the spuds. Mash the potatoes in a bowl and add the butter, cream cheese, sour cream, milk, ½ cup of cheddar cheese, bacon, and some salt and pepper. Stir it up. Preheat your oven to 350 degrees and spray your casserole dish with cooking spray. Put the potato concoction into the baking dish and bake for 25 minutes. Once it comes out of the oven, take the remaining cheddar cheese and some more bacon and cover the top with it. Pop it back in the oven to allow the cheese to melt. Once this is done, garnish it with some green onion and serve it up! If you’re interested in making a meal your family will enjoy, try this chicken pot pie recipe. This chicken pot pie recipe is the perfect meal to make on cold, winter nights. Cook your chicken in the dressing on medium heat until it is cooked thoroughly. Saute or roast vegetables and toss them, along with the chicken, into the chicken soup. Stir it all together. Take a 9-inch square baking dish and put the everything into the dish. Make sure to spray the dish with cooking spray before adding your soup mixture. Put the Velveeta on top of the soup. Unfold the sheet of frozen puff pastry dough and put it over the mixture. Fold the edges of the pastry and press into the top of the dish to form a seal. Brush the pastry dough with the egg and make sure to make several cuts into the pastry to allow the steam to release during the baking process. Put the dish on a baking sheet to facilitate the removal of the dish. Bake until the crust turns a golden brown (approximately 30 min.). Allow it to sit for 5 minutes before serving.